‘Pastoral’ is the part of our job that means taking care of our students and giving help and advice on various matters, whether it be related to their learning or something personal that is causing a barrier to their learning. Pastoral care is about looking after our students. All staff at TAS have a pastoral role – ensuring the general well being of our students. Key Stage 3 and 4 tutors in particular play a huge role, as they see the students on a daily basis and make it their business to get to know them well and recognise any potential issues that may affect their learning. We take Pride in Excellence in our pastoral support for students. We have a dedicated TAS Support Website – www.tasupport.co.uk – through which parents and students can gain support from the information provided, and by emailing our two pastoral managers with any concern or worry in complete confidence, in the sure knowledge that they will receive a swift response. We celebrate achievement through assemblies, certificates, presentation events and termly rewards for all our students who demonstrate their personal skills and development, from wearing their uniform correctly to helping out at school events. 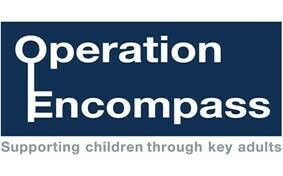 The Academy, Selsey is part of Operation Encompass.